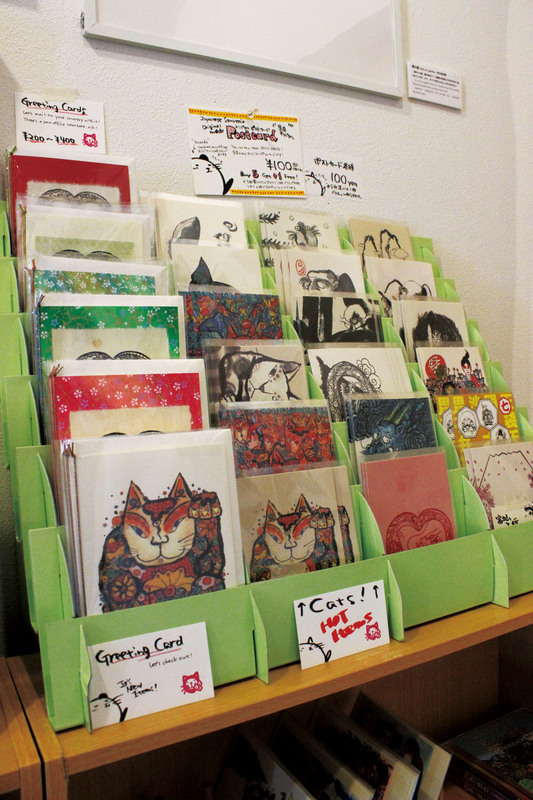 墨絵を世界へ！ Enjoy Sumi-e ink wash Paintings Japanese traditional Arts! 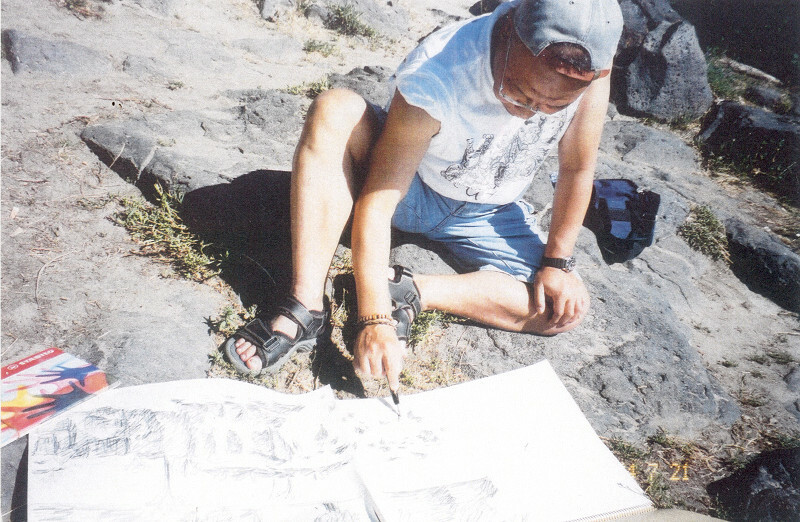 Though he started his artistic journey working in oil paint, Toyokuni Honda had an epiphany as a young man when he saw the ancient, faded paintings in temples in Mongolia and the Gobi Desert. 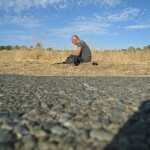 He realized that color is fleeting and temporary; line is everything. 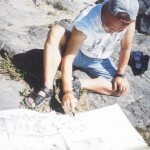 At that point he began his lifelong practice of the medium of sumi ink and pigment to explore Asian themes. 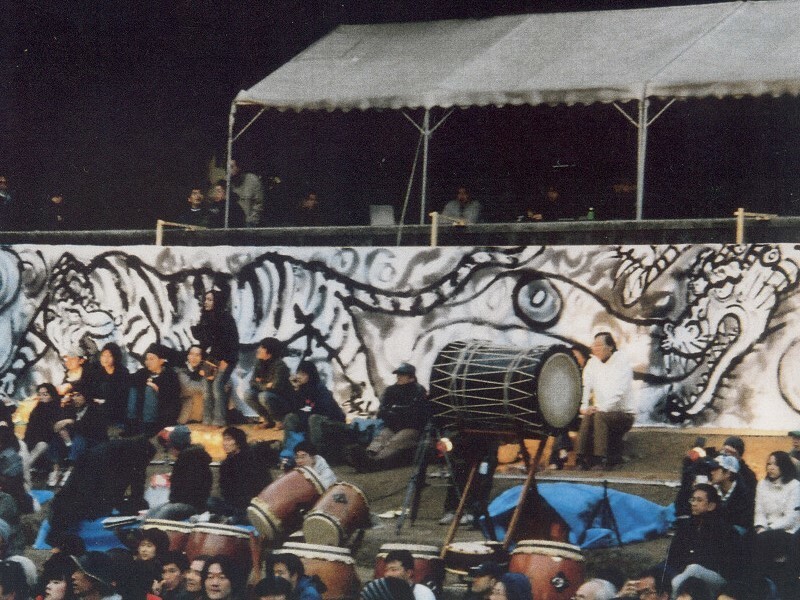 Among his greatest achievements were the monumental “Great Nirvana” mural at Zenjo-ji Temple, in Kyoto, Japan, which measures 26x 147 feet, completed in 1999 after two years of preparation and four years of actual work. The mural depicts 44 kannons, or goddesses of mercy, surrounding images of nirvana. 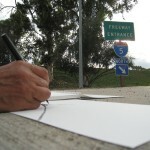 In 2001, he began his ongoing USA 50 project, in which he will depict every American state from his own viewpoint using traditional Japanese techniques. 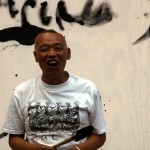 Besides gaining renown in his native Japan, he has also received international attention for his work, having been awarded prizes at exhibitions in Bologna, Italy; Lannion, France; Bratislava, Slovak Republic; and Tsingtao, China. 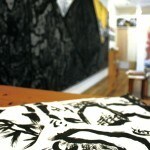 Beginning in 2002, Mr. Honda launched a series of live sumi-e performances, painting on huge canvases in front of audiences in Japan and the US, sometimes in collaboration with various rhythmic musicians, to reintroduce to viewers the joyful and spiritual world of sumi-e.
His personal gallery “Toyokuni Atelier Gallery” was opened at Jimbocho, Tokyo in Japan on April 2014. 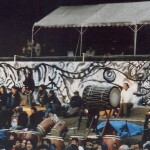 Sumi-e live performance is an event that draws the sumi painting on large canvas improvised in front of a large number of people. 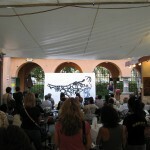 Audience will be enthusiastic about sumi painting to go completed steadily and splashes vigorously. Energy of Sumi explodes with an exuberance, works come along rapidly gives full of energy and strong impression from children to adults. 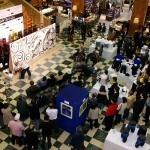 One that combines the fun of art and a variety of charm is the sumi painting live performance. 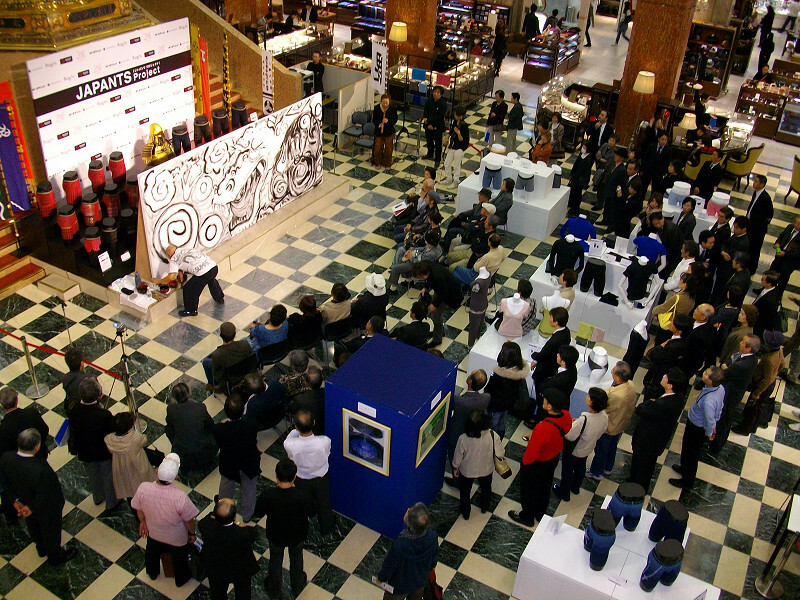 Sumi-e painting live performance has been done nearly 50 times in Japan and overseas already. Toyokuni has been drawing a lot of themes. 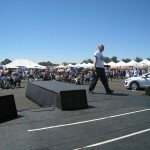 They gave him a compliment and a big applause from the audience all. Theme Highest Rated is the dragon. 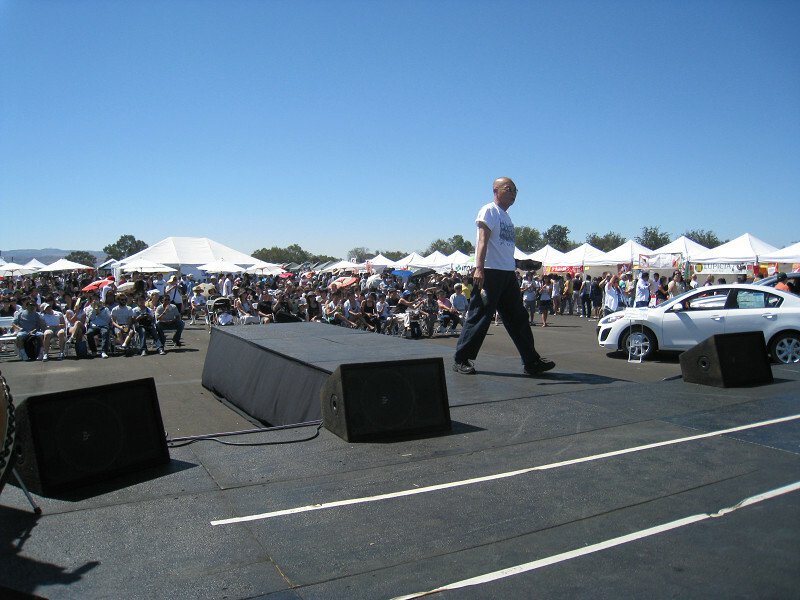 The dragon has enthralled audiences everywhere. 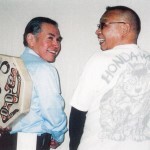 Toyokuni Honda made a decision at Laguna Beach in Southern California in the spring of 2001. 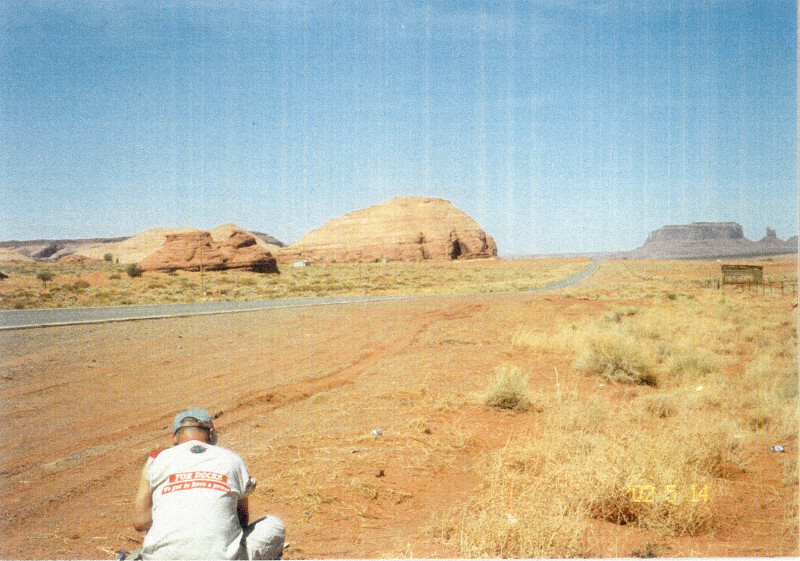 Painting all states of the United States, it was the starting as the project of USA 50. 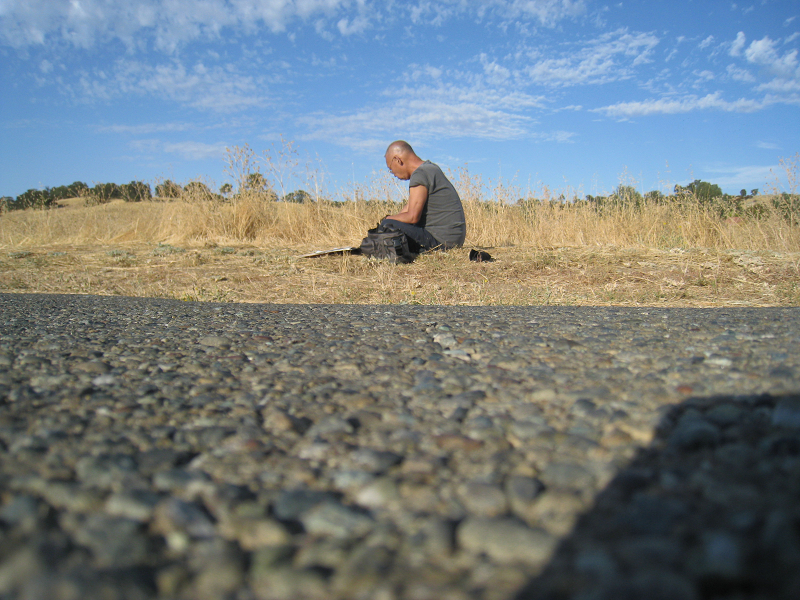 He wanted to paint and express out breathes of people and lives with a variety of vast nature in that country. 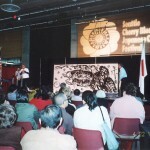 Important ones, such as sumi-e ink painting workshop and performance was born from the USA 50. 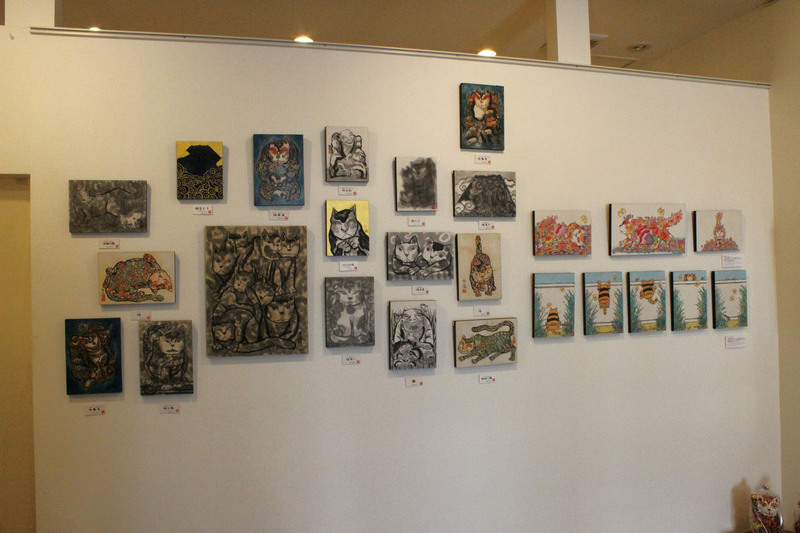 This project has been highly appreciated, we have an exhibition of the work at the Tokyo American Club prestigious Tokyo. Donation of painting has also been made ? 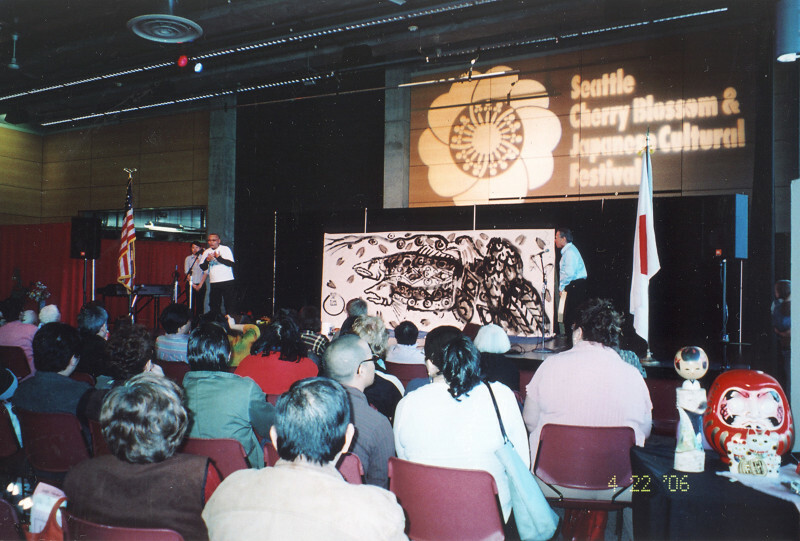 ?to the Consulate General of Japan in Seattle. 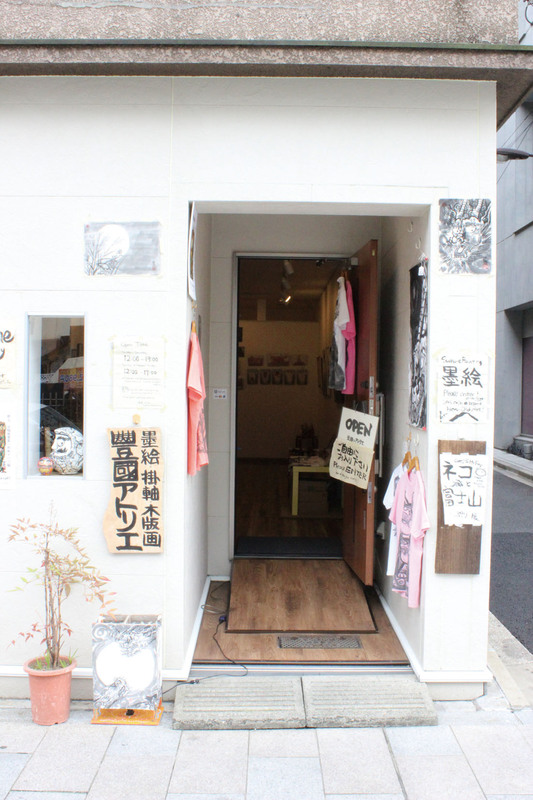 We have a lot of works by Toyokuni Honda, paintings, woodcut prints, paintings on the rock, T-shirts and more. 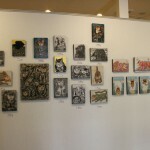 And you can see many works by special artists here. 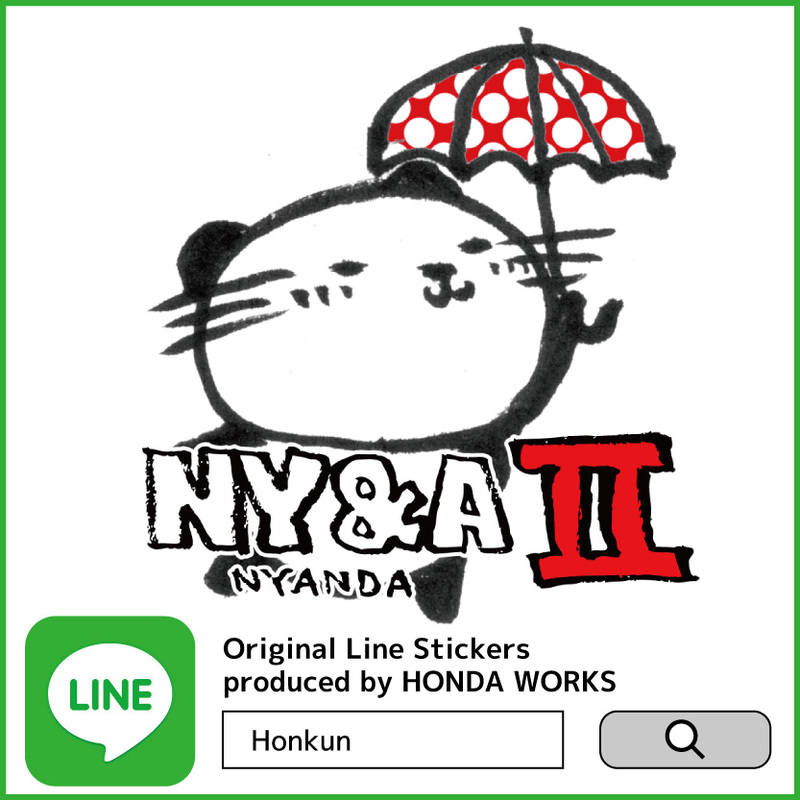 Also you can get original museum goods, postcards, mug cups, iphone case and more. Please get them as Japanese souvenir. We are looking forward to seeing you! Please come here and have some fun! 5 mins by walk from Exit No.6 of Kudanshita Sta. 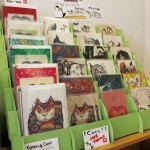 3 mins by walk from Exit A1 of Jimbocho Sta. This class is for beginners. It’s an experience but it’s so fun! 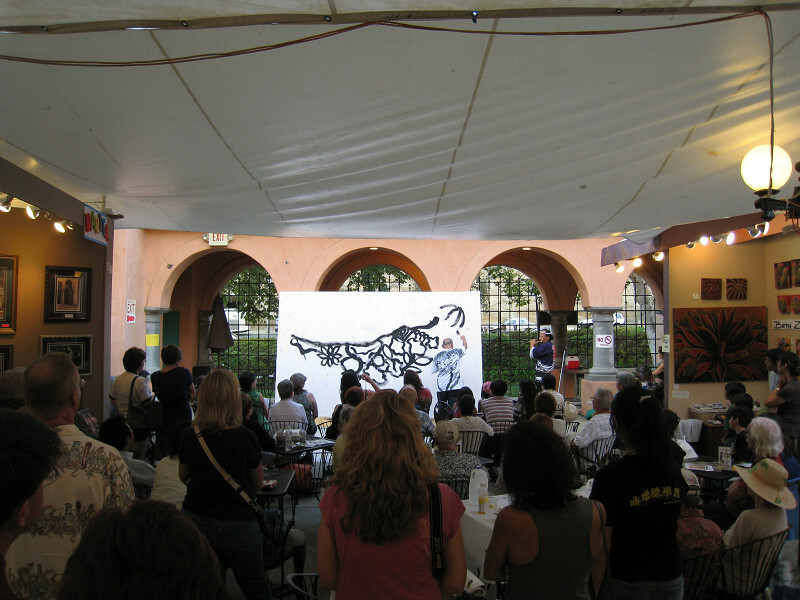 You could be a sumi-e painter soon! 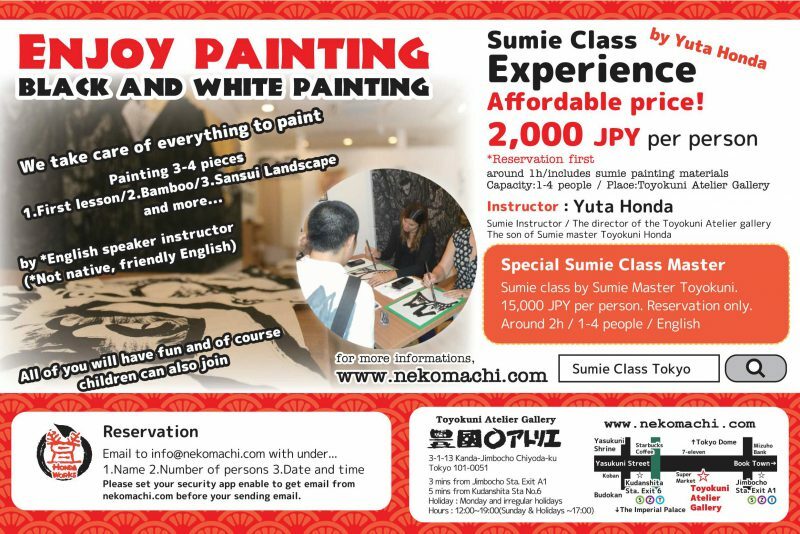 Let’s have fun with Sumie Painting!! 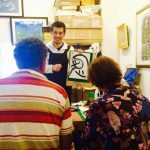 In this activity, you’ll be taught how to paint bamboo, san-sui landscape, and more in sumi-e painting. You’ll paint 4-5 pieces in an hour in the class. There are no mistakes in our sumi-e. There is also no good or bad in painting because it’s your masterpiece. That is sumi-e painting. All of you will have fun and of course children can also join. They might even be better than adults…they have an insatiable imagination. 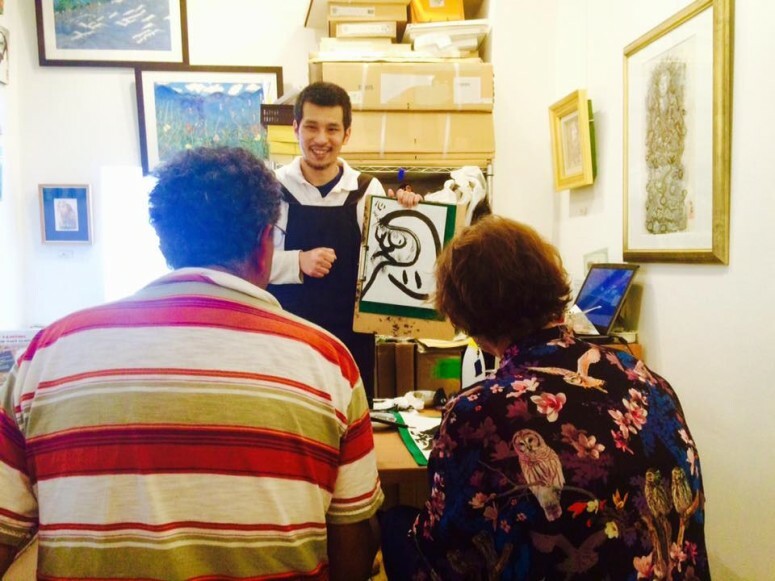 After the class, you will all be painters of sumi-e. Easy and fun! Let’s try to paint! 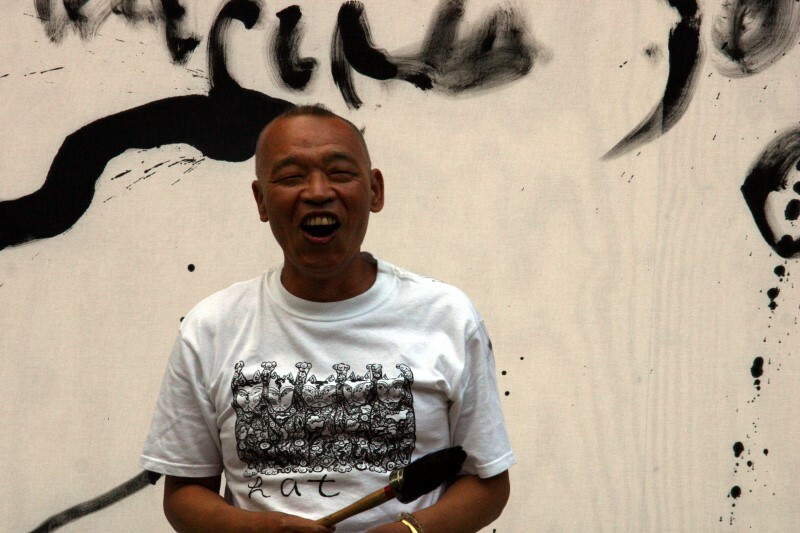 Let’s have some fun with sumi-e painting! Includes materials and art instruments. 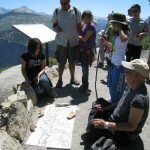 Lessons available on open days except every Saturday and irregular holidays. Please check out our web site for information about open hours. Please just bring yourself. We take care of everything to paint. And please come in older clothing – Your clothes may get some paint on them. If you would like to make a reservation for the sumie class, please let me know 1.Experience/Master 2.Your Name, 3.Number of your party, 4.Date and starting time. Everytime I told the customers, they could always get relaxed. 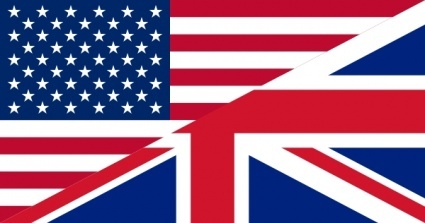 In fact, they can do that easily and that becomes their successful experiences. And they can get a lot of successful experiences in sumie class more and more. That’s why Sumie class got a lot of support from them. Also no painting well, no bad in sumie painting. 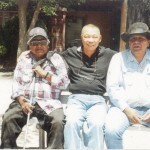 All of the appearances are their expressions depanding on their conditions of bodies and hearts. It’s just an expression of the condition of you no matter what you painted. Of cource if you wanted to get techniques of drawing lines in Sumie painting, you would need to keep on practising to do that over a few decades. But we don’t need that in Sumie Class. 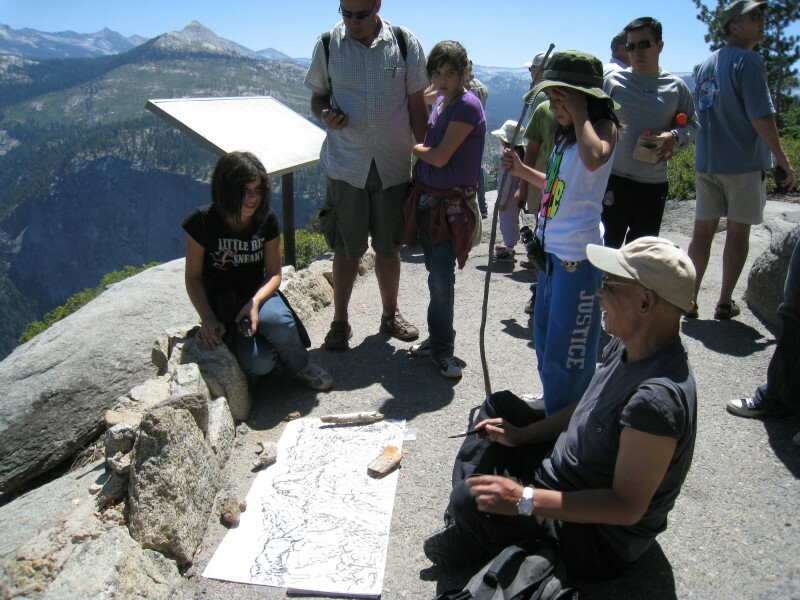 The purpose of Sumie Class is for all people to have so much fun. Though it depended on the traditional art and technique, it’s just for having fun. That’s why it’s fine for you to paint sumie like as you painted on some notebook with phone calling. It’s enough to get effective of painting. There are just two regulations in Sumie Class like as above. It’s particularly important to sign on your painting. 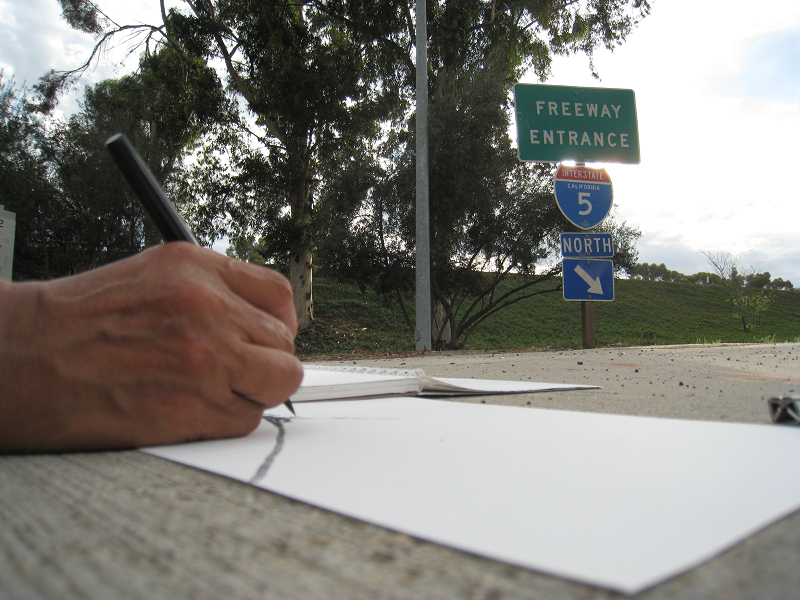 For those who has no ability to sign their own, let them write down their symbol figures like as simple circle, triangle, cross and so on, on their painting. It’s the proofs that they had done completely. That gives them successful experience. 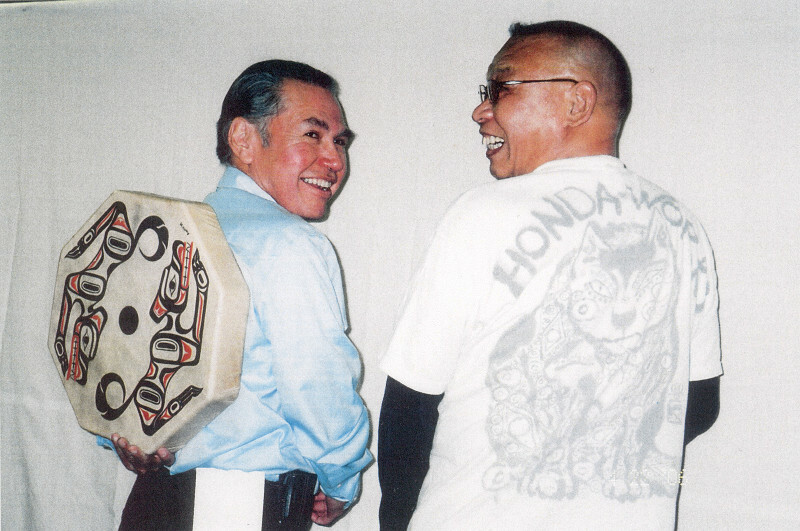 I’m a son of the master of sumi-e painting Toyokuni Honda and I’m the master of the gallery. 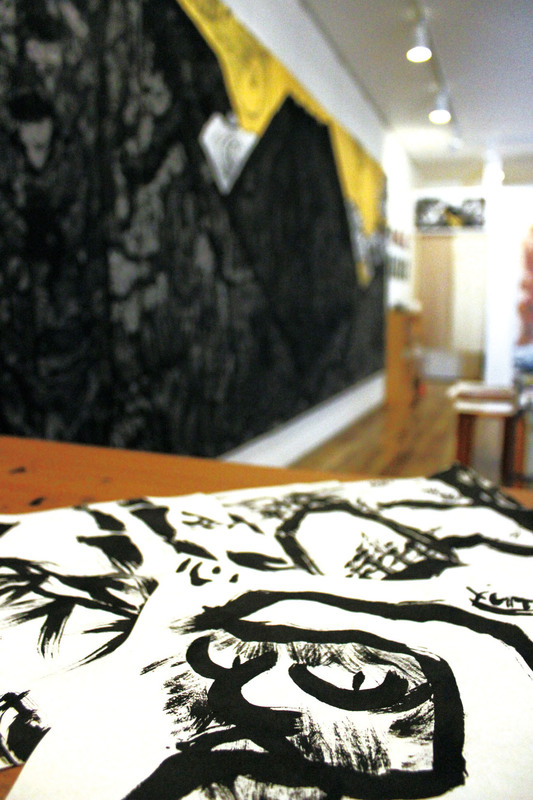 I’ve had a sumi-e class Experience for the purpose of telling pleasures of painting in sumi-ink to the whole world. I think it’s more important to have some fun than to learn how to paint well. 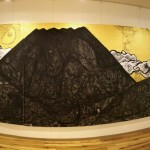 So please come see sumi-e and feel it and have some fun with sumi-e world at the gallery. I’m looking forward to seeing YOU! What’s Sumie Ink Wash Painting? 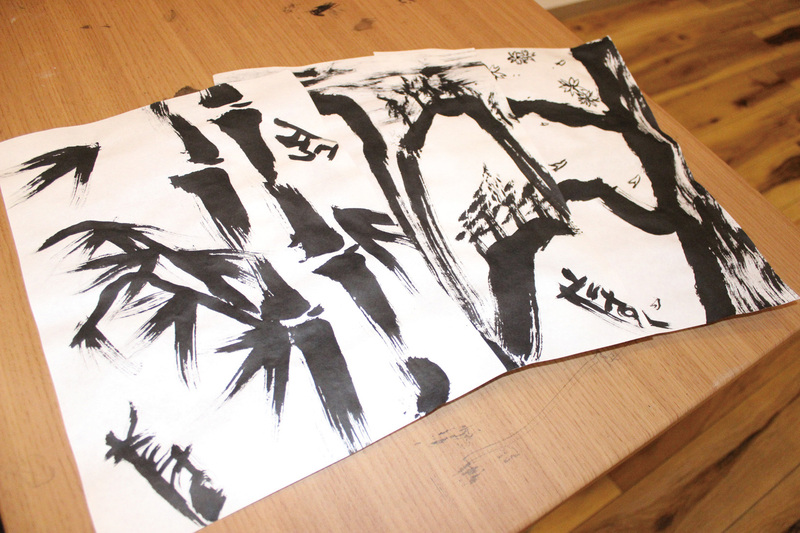 墨絵 Sumi-e is usually known as “水墨画(Suiboku-ga) Ink wash painting” which has painted in 墨 sumi-ink and 水 water. On Toyokuni saying about it, it includes painting also in East Asian pigment color named 顔彩 Gansai or 岩絵の具 Iwa-Enogu. 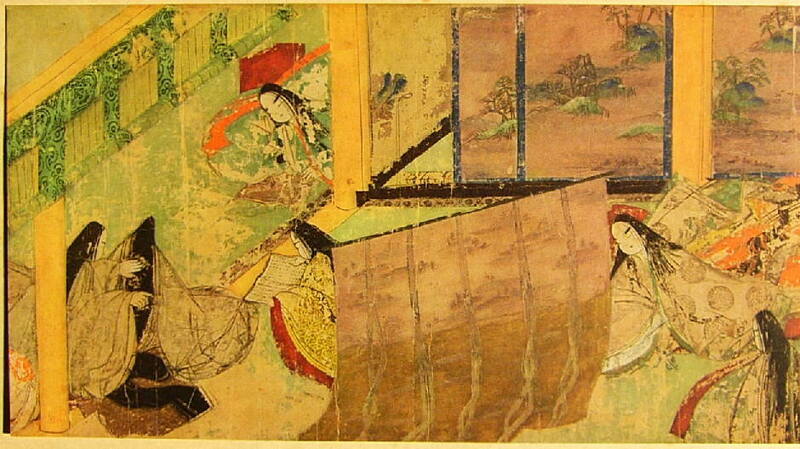 In the history of Japanese painting, the majority is with color. But most of famous painting in old Japan is “Ink wash painting” so that Sumi-e painting is usually known as “Black and white painting”. 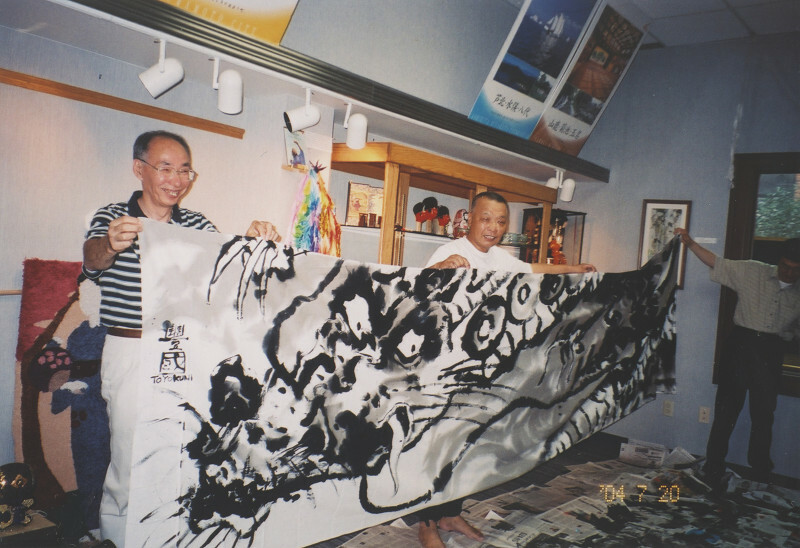 Sumi-e has mostly painted in sumi and pigment on 和紙 washi paper by 筆 Fude brush. It is the most important in it to paint them. It is said that it needs over 30 years to get mastered to do that. 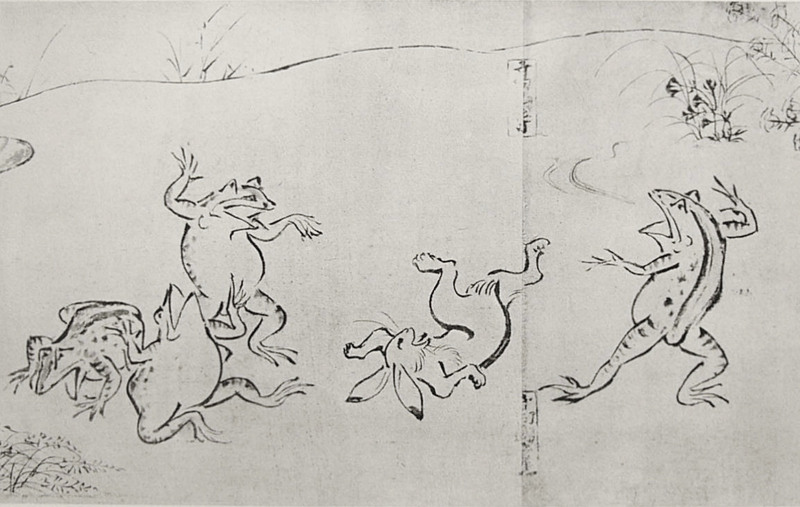 Then masters of sumi-e had been free from the technique and become artists. 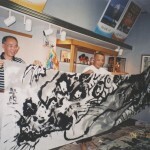 白描画 Haku-Byou-Ga paintings is one of the kinds of sumi-e paintings in Japan. It’s painted only lines in sumi ink. 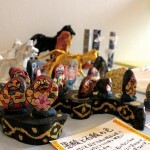 The most popular title of them is 鳥獣戯画 Choju-Jinbutsu-Giga created in 12th century and 13th century. 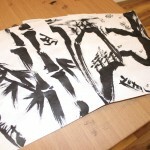 水墨画 Suiboku-Ga paintings is painted in sumi ink and water. Most of Japanese has usually reminded it when they thought about Sumi-e paintings. 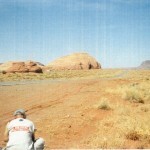 It has painted lines and surfaces with water as an additional material. It’s the most different point from Haku-Byou-Ga. The popular painters are 雪舟 Sesshu, 長谷川等伯Hasegawa Tohaku, 池大雅 Ike no Taiga and so on. 墨彩画 Bokusai-Ga paintings is painted in sumi and water and 顔彩 Gansai Japanese pigment color. It’s often known as 大和絵 Yamato-e paintings. Toyokuni Honda has often painted in this style. Though these three kinds of paintings has been separated as each classifications, they have painted in the same historical spirits as sumi-e paintings in Japan and Asia. 渇 ka means Dry, 筆 pitsu means brushes, so it totally means dry-brush. It’s a little sumi-ink in brush. It’s usually for painting some hair or some beard. 米 Bei means rices, 点 Ten means points, so it totally means rice points or points of rice. It’s usually for painting leaves of woods. You can find it out in a lot of sumi-e paintings. It’s about circles but not exact ones, it’s ellipses. Sumi sticks are made from 煤[Susu] ash of pine tree and 膠[Nikawa] glue. Both is mixed up into one and fix up mostly in winter by a craftsman. Sumi is usually figured as a stick. 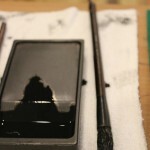 Before painting sumi-e, painters rubbed sumi-ink-stick on 硯[Suzuri] ink stone with water to make it liquid-sumi-ink. Then they painted sumi-e paintings in it. There are two kinds of Sumi-ink, one is with oil named 油 煙 墨 [Yuen-boku], and the other is 松 煙 墨[Shoen-boku] without it. 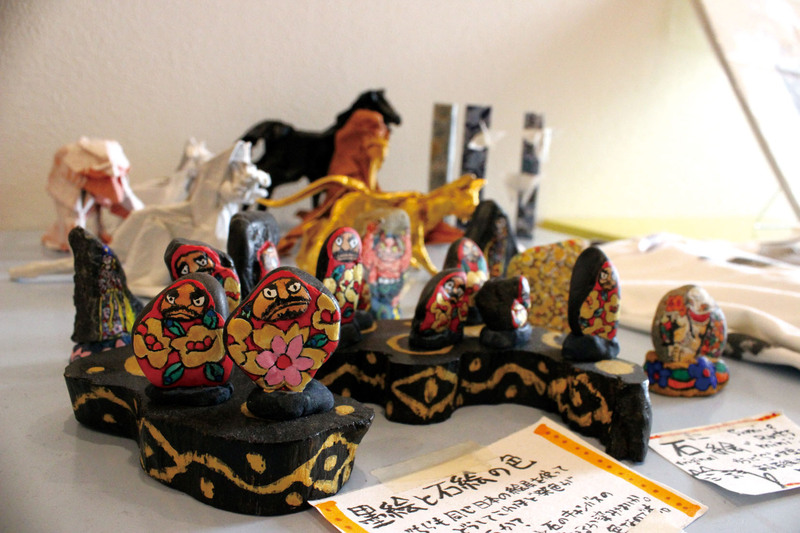 Washi paper is the one of the UNESCO’s Intangible Cultural Heritage Objects. Washi is commonly made using fibers from the bark of the gampi tree, the mitsumata shrub, or paper mulberry. It is rougher-made than paper from wood pulp. It is very important material in Japanese painting. Its surface makes Japanese color and sumi-ink paler and feel better. If there has been no its rough surface, no painter was able to paint such as beautiful one. 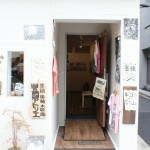 Washi has been used to make various goods in the life. For example 提 灯 [Chochin] Japanese lights, umbrellas, 障 子 [Shoji] window in Japan and more. The fude brushes come in various shapes and sizes, and are usually made using animal hair for the bristle. Typical animal hair may come from goat, sheep, horse and so on. The handle may be made from wood, bamboo. These are also used to write Japanese calligraphies. Suzuri has been used to rub a sumi stick with a drop of water around 6,000-7,000 years ago. It makes a sumi stick liquid. Suzuri is usually made from one hard and black stone. 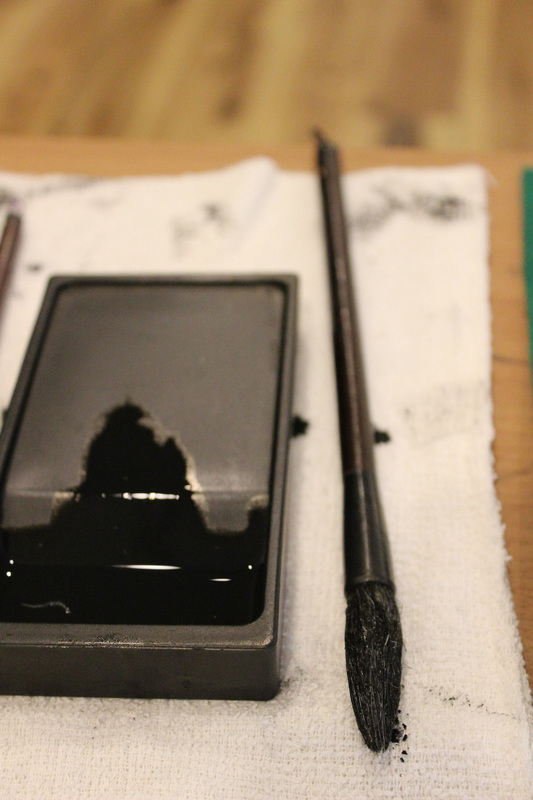 If a sumi stick was rubbed on the ink stone made from another material, sumi ink becomes softer or harder than before. The different is found well in painting in paler sumi-ink. It usually points the signature and the seal of the author on their works in Japan. There are two kinds of seal meanings. 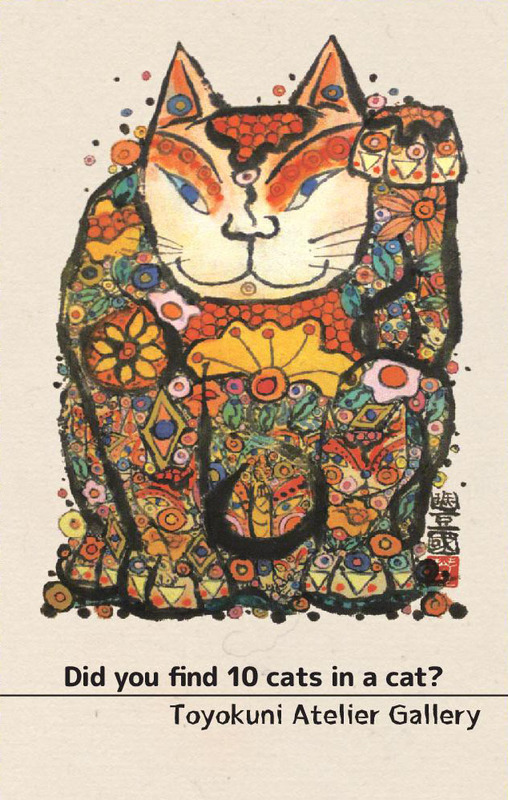 One is 白 文 [Hakubun] white characters on background in red which means the real name of the author. Another is 朱 文 [Shubun] red characters on background in white which means the sub name, like as a pen name, or the sentence which the author liked. It was usually made from a high quality hard stone. 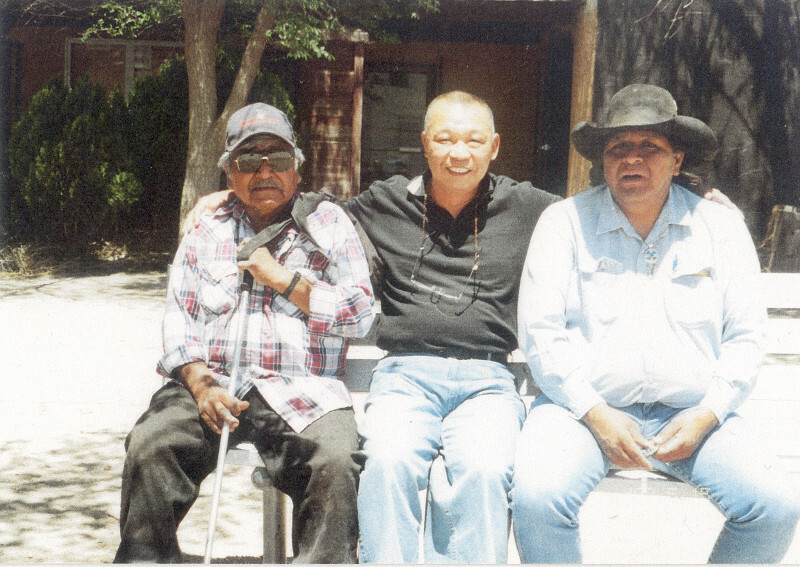 Rakkan was mostly original hand-made one. 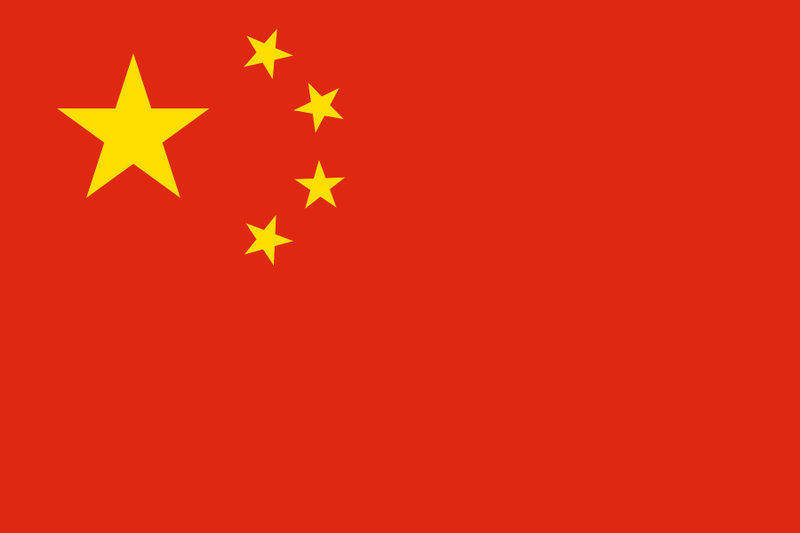 Monday and Friday and Irregular holidays. * if Monday is a national holiday, it will change into Tuesday.